A DC geared motor is basically a simple DC motor with a gear box attached to it. The speed of the motor is counted in terms of Rotations per minute or RPM. The main advantage of using the gear assembly is that it reduces the motor speed moreover it helps in increasing the motors torque. 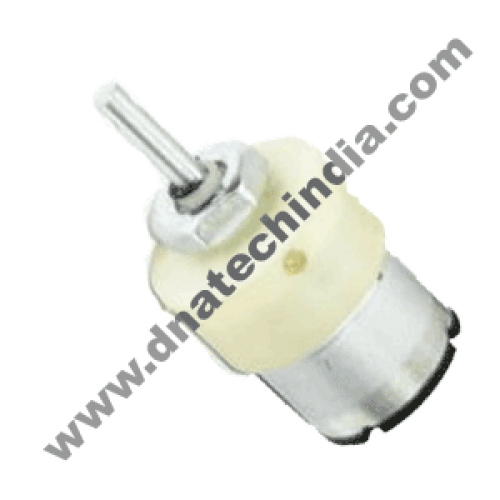 DC geared motor is used in variety of Robotic Applications and is available in various RPM. These DC geared motors have a 3 mm drill hole in the middle of the shaft thus making it simple to connect it to the wheel or any other mechanical assembly. 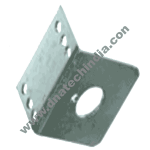 L Type Clamp for DC Geared MotorA DC motor clamp or a bracket is used to mount the motor tightly on..